The E-GEM Kick Off meeting took place in Lisbon on the 9th and 10th of January 2014. This was the first E-GEM meeting and marked the start of activities for the project. It also marked the start of several E-GEM activities, including the initial specifications of the three data acquisition platforms to be developed throughout the project: space-borne, airborne and ground-based instruments. In parallel, several initiatives were also initiated for early interaction with potential users of E-GEM data products, with special focus on the formation of the Users Group and the organisation of the first E-GEM workshop. Top row, left to right: Rune Storvold (Norut), Adriano Camps (UPC), Jorge Carola (DEIMOS), Antonio Gutiérrez (DEIMOS), Jens Wickert (GFZ), Jorge Bandeiras (DEIMOS), Tiago Peres (DEIMOS); Bottom row, left to right: Rick Danielson (NERSC), Rita Castro (DEIMOS), Nuno Catarino (DEIMOS), Leila Guerriero (Tor Vergata), Estel Cardellach (CSIC-ICE), Nilda Sánchez (U.Salamanca). The E-GEM Portal, a web site dedicated to public dissemination of information and achievements of the project as been redesigned. SARGO Instrument was successfully instaled on top of VTS Lisbon. The first E-GEM workshop took place last July, bringing together the first line of potential users, as well as technology developers and other interested parties. 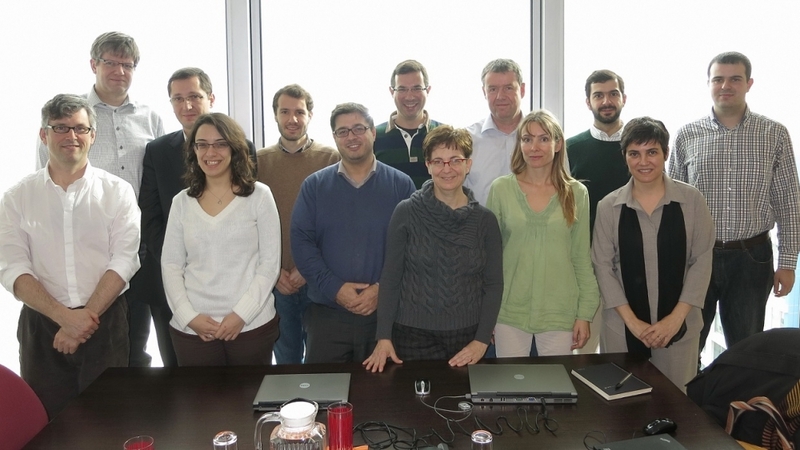 The E-GEM Kick Off meeting took place in Lisbon on the 9th and 10th of January 2014. This was the first E-GEM meeting and marked the start of activities for the project.